Metal Gooseneck Tube is made of a spring (such as：Steel, Stainless Steel) and a sectional wire (such as ：Galvanized iron, Stainless Steel, Brass), inside hollow and outside spiral, the inside hole of the tube can be inserted a certain size wire. Flexible Gooseneck Tube is a kind of product which can be bent into any shape and still keep in position. Metal Gooseneck Tube (Flexible Gooseneck Tubing / Steel Gooseneck Tube) is able to support, bend into any shape,adjust bending position and protect wires inside. Different treatments of outlook are available to meet different requirements. The supplying range is OD2.0mm~40.0mm and minimum ID is 1.0mm which is defined according to specifications. 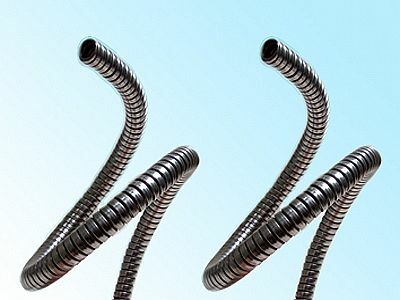 Gooseneck, Flexible Arm,Flexible Gooseneck Tube, Metal Gooseneck Tubes were given a lot of nicknames according to the use of different industry, such as the camera is defined as camera gooseneck tube, endoscopic gooseneck hoses for the pharmaceutical industry, headset microphone tubes for headphones, microphone tube for microphones, connecting gooseneck tubes for equipment, machine lamp gooseneck tube for machine lighting , Flexible Gooseneck Desk lamps for desk learning, decorative light tubing for house decoration, USB flexible gooseneck lamps for computers, and etc. And the difference with other tubes: the difference with the bellows, whether it is metal bellows or plastic bellows they can form a certain shape, but they cannot shape during the process of using, and cannot support a certain object as if there is no backbone, the shape is not controllable. Unlike a spring tube, a spring tube can be bent, but it bounces back into shape that can not be maintained and has no shape controllability. Specifications: Depending on the needs of different environmental conditions may be long or short, may vary. Usage: Widely used in industrial production and other aspects of daily life. Due to the daily production and living needs of the diversity of stereotypes determine the development of Metal Gooseneck Tube innovation, has now developed into spring steel and galvanized iron-based composite pipe and its basis and other materials, style more Like qualitative hoses, such as the use of thermoplastic tube coated thermoplastic tube qualitative hose, silicone composite membrane using silica gel tube surface qualitative hose. 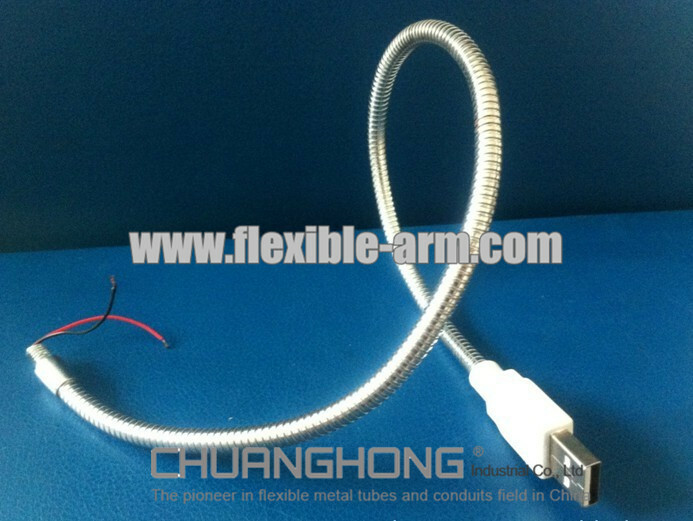 Useful stainless steel, copper and other materials to do the foundation of other qualitative hoses. Varieties: According to different materials and processes Metal qualitative hose can be divided into the following categories, according to the surface treatment can be divided into electroplating, baking varnish, plastic package, according to the basic structure of the material can be divided into ordinary steel wire, , Copper wire, and other materials category. Electroplating category: can be divided into electroplating chrome (now due to environmental requirements are environmentally friendly chrome), the color is silver, nickel, the color slightly yellow polished can be matte, electrophoresis is generally black and other colors, Electrostatic spray paint and paint, particularly rich in color, red, orange, yellow and green, colorful. Packed into plastic and rubber package of silicone rubber. Color is also rich and colorful, and can be made bright and matte color. Color: silver, gold, copper, blue, white, matte, bright color and other international color card in any color. I'd like to know more about your Gooseneck tubing and see if I can purchase a roll of 1/4 in tubing about 20 ft - 30 ft .